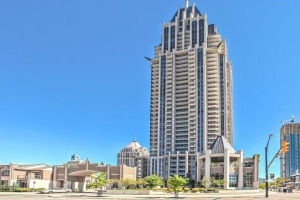 One Park Tower Condos are located in the heart of Mississauga City Centre. 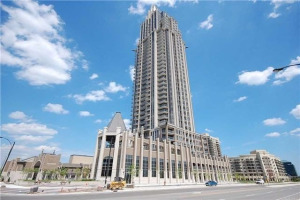 The tower is adjacent to a beautiful 3-acre park and is a walking distance to the YMCA, Mississauga Library, City Hall, Celebration Square, and the Living Arts Centre. The area promises year round festivities, sports, parks, transit hub, coffee shops, kiosks, entertainment, sports, parks, transit hub, Sheridan College, walk-in clinic, as well as Square One Shopping Centre. One Park Tower is an icon of luxury built by Daniels. It has a unique design, old world inspired architecture and sophistication. It is Mississauga's tallest residential landmark tower, defining and complementing the skyline of Mississauga's new City Centre. When it comes to architectural expression, innovative design has always been a hallmark of Daniels Corporation. One Park Tower is no exception. One Park Tower's five star hotel like lobby, soaring vaulted ceilings, 24-hour Concierge and old-world inspired column and arch accents, guarantees that first impressions are indeed lasting impressions. On the ground floor, the One Park Tower Condos Fitness and Leisure Centre, promotes well-being made easy with state-of-the-art cardio, fitness and weight-training. There is also a full-time recreation coordinator to take care of you at One Park Tower condos. After a workout, you can sooth your aches away in the steam rooms, whirlpool or indoor pool. Or just relax within your private residents' lounge overlooking the adjacent 3-acre community park. Rising up a breathtaking 38-storeys, Club 38 is the city's highest residential vantage point, to date. It features a spacious lounge, plasma screens, bar/kitchens, billiards and foosball. You can surf the net in the Internet café, or relax on one of the three outdoor terraces. There's even a convenient multi-purpose room that's ideal for light exercise including Pilates, Yoga or Tai Chi. Moreover, Club 38 enjoys the most strikingly beautiful views of the city, the lake and the Toronto skyline beyond. One Park Tower Condos are next to Chicago Condos and Limelight Condos. Team Kalia has helped many residents with buying, selling or renting their homes and condos in Mississauga's Square One area since 2003. 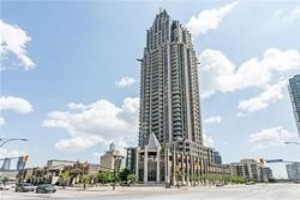 Call us if you are thinking of buying, selling, investing or renting One Park Tower Condo in the Square One area. Team Kalia is sure to bring you great value. Local Experience always Pays!